You can find a very good model here if you take your time, so with enough commitment and study you can easily get an incredible experience and some nifty results to say the least. These drones are very good for beginners, but they can be rather interesting for experts too. With the right approach, you can get a nice set of features, so you may want to check that out as well. Just consider trying it out as you will not be disappointed. Drone racing is a process designed to focus on racing small or large FPV drones on a selected course. The primary focus here is to create fast and very powerful multi-rotors that can deliver incredible speed. The idea is to keep the drone as light as possible, because if the drone is heavy you will lose speed and momentum, which is something you want to avoid. Drone racing is so popular at this time that there are many tournaments all over the globe. Obviously, you can also try to enter the drone racing world, which is why opting for some of the best racing drones can be a very good idea! 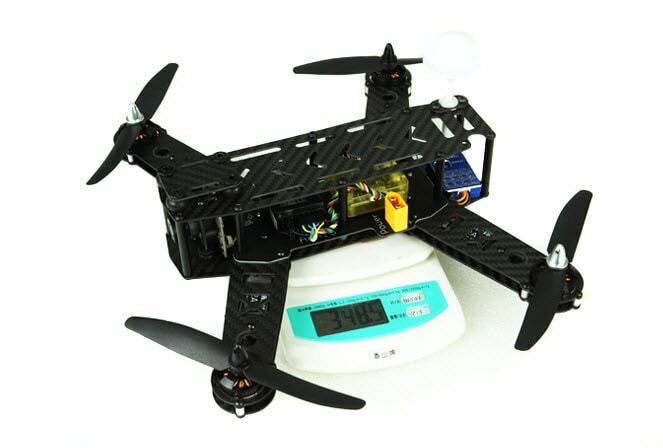 You need to figure out if you will buy the best racing drones or if you will build them on your own. These are the two options you want to focus on and each one of them comes with a different set of features. Well, it mostly depends on what you want to do with that drone and the value that you expect from it. Some of the drones are known to be very fast, others not so much. A ready to fly model will allow you to spend less time, since you just get the drone and you go training. On the other hand, if you buy parts like the motor frame, propellers and motors you can easily build FPV drones on your own. You can expect the process to be very time consuming and that's obviously something to keep in mind. But on the other hand, being able to build your own FPV drones does mean you can focus on creating something lightweight and with a very good speed. It certainly manages to bring in front a delightful experience and one of the best that you can find out there. Should you build a good drone of your own? If you want it solely for drone racing then yes, this can be a very good idea. You just have to take your time, study all the options and then focus on what gives you the most value. Sure, there are plenty of challenges in this situation, but if you focus on quality first and foremost, nothing is impossible. Some of the best FPV drones on the market don't have to be expensive, they need to focus on value, quality and a very good experience. 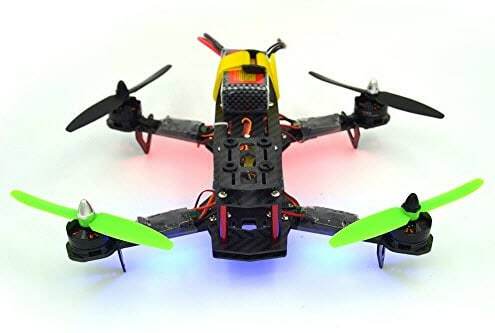 With these best racing drones on this list you can find the type of quality that you may need and you don't have to spend a lot of money to begin with. With this drone you have one of the latest F3 flight systems and you also get integrated night vision as well. The Devo 7 transmitter does wonders here and the value you receive is more than impressive for the money you spend. The quality is indeed second to none and the support for real time HD image transmission makes this drone one of the best in the business. Controls are tight and the experience as a whole is very good for drone racing. What makes this drone so nice is the fact that it has an assembled RTF version which has all the features you need. The FPV camera angle is very easy to adjust and you can use the controller and adjust the flight parameters in no time. The product also has a vibration dampening plate that makes the videos better as well. There is no shaking and results are very impressive because of that reason alone. It's certainly delivering a really good value for your money, and the motor is one of the fastest out there. 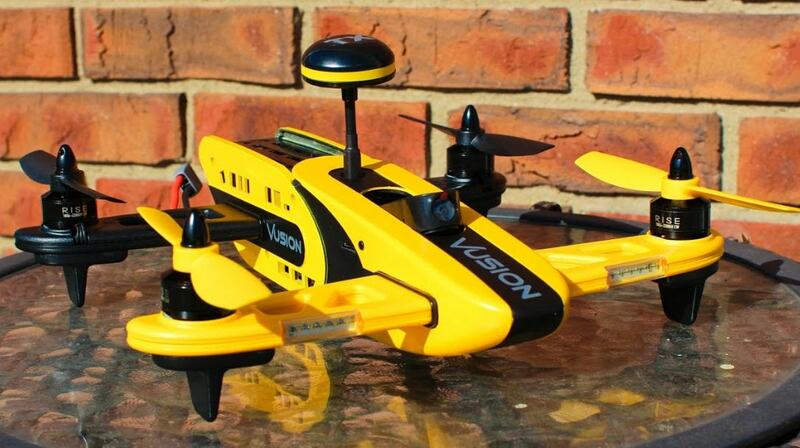 The Rise Vusion 250 is one of the drones that have a very cool and distinct design. Not only does this drone look great, but it also has a great LCD video monitor and it even features goggles. With its help you get a very good driving experience and the fact that this model has a stellar 3.8 GHZ gear does make it very easy to maneuver and deliver the very best results. The memory car slot allows you to record lots of content too, so you do get an immense value for what you pay here. 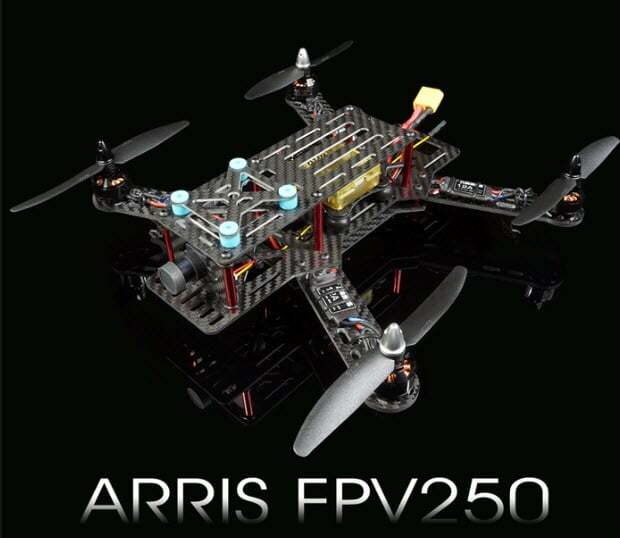 This Arris model is known to be one of the most popular drones out there. What makes it stand out is the fact that it can provide you with amazing features and quality. Using this is great and you always have the very best quality video you can get from a drone at this particular size. They do tend to bring in front quite a lot of interesting features here and the fact that this drone is so easy to maneuver certainly manages to pack quite a punch when it comes to durability and performance. 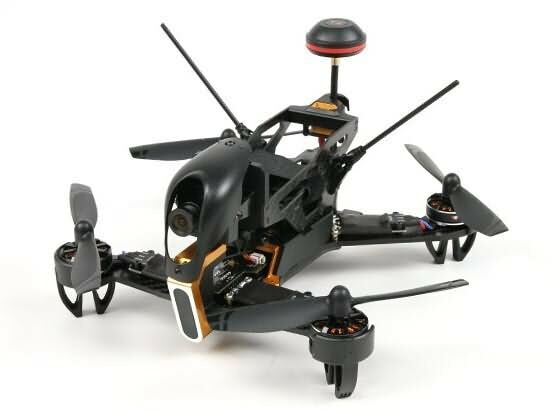 This LHI Full Carbon Fiber 250 drone is very good to use at up to 900m on the ground, the remote controls are very impressive and the carbon fiber kit gives it the features and quality that you need. The drone is offering support for a HD camera and you can also add in some replacement components. You are free to use it in any way you want and you can acquire plenty of interesting options with it. The value can be very well worth it and in the end you will be quite impressed with the features and quality! All these best racing drones are going to offer you the quality and precision that you may need. It's all about finding the right approach and value, not to mention that FPV drones also need to bring you great performance. You should consider opting for any of these great FPV drones for racing if you want great quality and outstanding features! You are correct. You can probably race any quad that flies I suppose and call it a "beginner" quad. Being competitive is something else entirely though. As far as my knowledge goes I starting flying quads about 5 years ago for fun. The racing aspect is a fairly new thing but I have done my homework and I would not purchase anything listed here to race with nor would I suggest them to anyone else as you can do much better... Yes, I used the Google search and it brings up articles just like this written by what appear to be non hobbyists. To me this (and many others) appears to be an article written exclusively to generate revenue rather to provide genuine information for those looking for it. Also, just because articles make it to the top of the search criteria doesn't make them valid. You can pay for that privilege. Forums or clubs would be much better resources for knowledge. Although with today's 30 second attention spans and instant gratification, articles like this will unfortunately sell quads. Newbie to his friend: "I read online that this xxxx quad is awesome, so I bought it". We can only make well informed decisions when we are in fact, well informed. To each his own. As someone that has been involved in R/C for well over 30 years I must say that your article is a disservice to those wanting to enter into the hobby. Although I am fairly new to racing quad-copters I can say with a fair amount of confidence that none of the quads listed within this article are considered to be "racing" quads by anyone that actually races them. Please have some integrity and actually research (in-depth) the topic you plan cover. Misinformation is the bane of Google searches which you seem to be contributing to. The sole purpose of this article seems to be for sales generation on your affiliate links. Please tell me I am wrong. Please tell me that your article was an honest attempt to help guide people in starting a new hobby rather than just taking a percent of their misguided purchases.